Regardless of Mark Zuckerberg's vision for it. Mark Zuckerberg recently said he believes Facebook can become a force for community organization, much like churches or little league sports. His comments have prompted reflection on both the Church’s place amid a changing cultural, and the role of technology in organizing people. Some scoffed at Zuckerberg’s ambitions, while others asked if Facebook could indeed replace the Church. Since the future is not for us to know, perhaps the best thing to do with comments like these is to see what they bring into focus and what they fail to see altogether. Lest we think church can easily be replaced, I’d like to turn the attention to what many inside and outside Christianity often fail to see in regards to the Church. 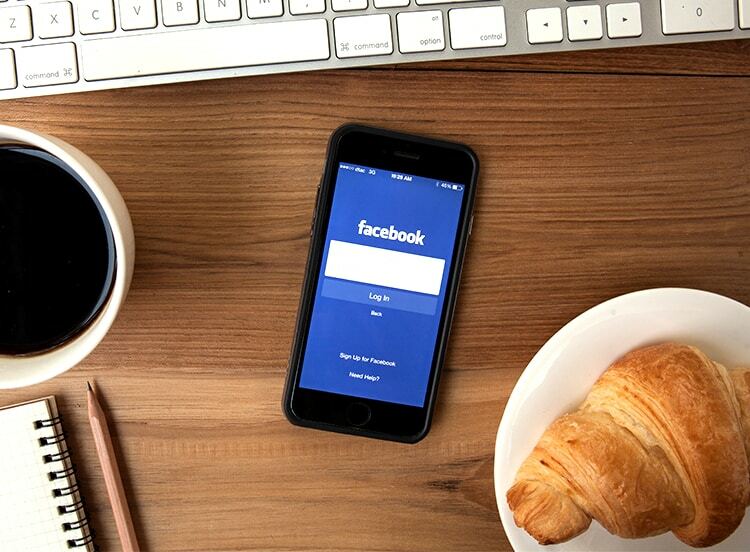 God’s design for humans, where Christians find their meaning and the reality of the church’s mission provide us three reasons why Facebook (or any other institution) can’t replace church. We were created for face-to-face communication. Screens, no matter how immersive, are a mediated experience. We were created to relate to one another as unmediated beings, though. Put another way, we were made to relate to one another face to face. That’s because we are embodied creatures that take in information through all five of our senses, something that’s not possible through mediated experiences. This embodied design is not unique to us; it’s an image of what the invisible God is like. When the image of that invisible God came to earth to pen the climax of His great redemptive narrative, He did so in the form of an embodied man named Jesus. It’s easy to miss that God could have done anything He wanted, but He chose to come in the most inefficient and vulnerable of all creatures–a human baby. Jesus’ ministry was an embodied one, lived out in an area of only a few miles. This model was not lost on Jesus’ disciples, who, much like us, had a decision to make when it came to ministry. They had access to a new technology which allowed them to communicate with groups of people they had loose connections to but lived miles and miles apart from. It was called letter writing. Sure, letter writing is old news to us, but it was an amazing technological innovation in that day. Peter and Paul, two pillars of the early Church, actually wrestled with when to write letters and when to meet face to face with the people they ministered to. Peter wrestled with wanting to continue writing down his thoughts and instructions, but decided instead it would be better to visit his audience in person. “I had much to write to you, but I would rather not write with pen and ink. I hope to see you soon, and we will talk face to face” (3 John 13–14). Paul echoes similar sentiments in one of his letters where he goes so far as saying he and his companions, “pray most earnestly night and day that we may see you face to face and supply what is lacking in your faith” (1 Thessalonians 3:10). Both Peter and Paul’s comments suggest there would be something lacking if they could not meet with those they ministered to in person; that something would be lacking without the embodied experience of being present in the same place at the same time. As we live through the emergence of virtual and augmented reality, there will be an increasingly stronger pull to gather digitally. But to do so misses the context of what Jesus and the Apostles showed us. It misses that there’s something inimitable about meeting face to face, picking up on body language and voice inflection and eye contact. It makes us more vulnerable to one another, and more pliable in the hands of a God who wants to shape us into His image. Though we’re living through a new digital period in human history, the Bible’s teaching is clear that face-to-face communication is what we were made for, and that the majority of our ministry should be carried out in person whenever possible. The Church has maintained its call to gather together (Hebrews 10:25) for the last two thousand years, and, as we’ll see below, it will continue to for the next two thousand (unless Jesus comes back first). Being a part of a family where you can be known in the most intimate sense, where anyone in the family is willing to give you whatever is theirs, is simply irreplaceable. When the Church operates as a family as it was intended to (see Acts 2:42:47), nothing–certainly not Facebook–will replace it. Jesus is the ultimate source of meaning. Key to Zuckerberg’s plan to increase community involvement among Facebook’s users is the idea that all of us are searching for a meaningful life. The existential pursuit of meaning and purpose is something humanity has been after since the beginning. The book of Ecclesiastes tells us that God has put eternity in our hearts (Ecclesiastes 3:11). This is what has often been referred to as the “God-shaped hole”–this sense that our life should matter on a cosmic level. When Jesus’ disciples were peppering Him with questions leading up to His crucifixion, the famed “doubting Thomas” said, “Lord, we do not know where you are going. How can we know the way?” His question came out of confusion when Jesus said He would take them where He was going, but Thomas’ question is about much more than that. He’s wondering where he and his friends are going to find their meaning once Jesus is no longer with them in the flesh. Jesus’ response to Thomas is, “I am the way, and the truth and the life. No one comes to the Father except through me” (John 14:6). There’s a lot of theology in Jesus’ answer, but wrapped inside is the idea that everything finds it ultimate meaning in Him. Salvation is rooted in belief in His death and resurrection. Truth is grounded in the reality of His teaching. Life is found in giving up our lives for the sake of His. Meaning is not found in an idea or a philosophy–meaning is found in a Person. No other institution gets to claim that Jesus is its head (Colossians 1:18). That honor belongs to the Church alone. No for-profit or nonprofit organization will usurp the Church’s position as the bride of Christ. The Church is enveloped in the love of Christ who brings meaning to all of life. As long as that’s true, nothing can replace the meaning that’s found in the Church’s witness to Christ. The church’s mission is unstoppable. Comments like Zuckerberg’s often cause more of a firestorm than they’re worth because many within the Church have failed to remember fundamental truths about the nature of the Church and her mission. We just saw how the Church is infused with meaning because of its position in Christ, but what about the mission? Is it in danger of failing? Is it possible for Facebook or some other business or government to complete Jesus’ Great Commission? The Bible’s answer to those questions is a resounding “no.” The mission of God is unstoppable. That mission has been given to the Church, which means the Church’s mission is unstoppable. “And I heard every creature in heaven and on earth and under the earth and in the sea, and all that is in them, saying, ‘To him who sits on the throne and to the Lamb be blessing and honor and glory and might forever and ever!’” (Revelation 5:13). God deserves the praise of every single person and people group on the planet, and one day He will get it. Our culture may be secularizing at a rapid pace. The world around us seems to move faster and faster, getting crazier by the day. The church may move from one place to another. It may be more and more difficult to be a Christ-follower, even in America. But make no mistake–the mission of the Church is not in jeopardy. God holds the fate of the world in the palm of His hand, and what He has said will come to pass. No person, business or institution can stand in the way of the God who spoke into existence all of creation.